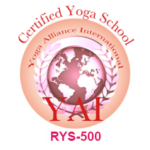 Ujjain Yoga Life Society’s Yoga training and research centre in Ujjain is certified by Yoga Alliance International (YAI) for conducting Teachers Training Programs-200 & 500 hours levels. This Centre is also an affiliated Yoga School of International Yoga Federation (IYF). The Society has also gained popularity in organising a very successful event International Yoga Seminar (IYS-2010 & IYS-2011) in October 2010 & September 2011, which is being organised on 12-14 October 2012. Next IYS – 5th International Yoga Seminar on the theme ‘Yoga for Peace and Humanity’ is scheduled on 26th-30th April 2016 during the Yoga Kumbha 2016 Ujjain. Four batches in the morning and two batches in the evening for males and females starts on 16th May. Morning batches are at 5.30, 6.30, 7.30 and 8.30. Evening batches at 6:00 and 7:00pm. 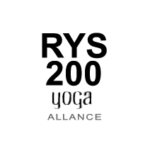 Yoga Teachers Training Programme starts for 200 hours TTC Programme. 3 batches in morning and 2 batches in evening for man and women starts on 1st July morning batches are at 5.30, 6.30 and 7.30 Evening batches at 6:00 and 7:00pm. 3 batches in morning and 2 batches in evening for man and women starts on 16 August morning batches are at 5.30, 6.30 and 7.30 Evening batches at 6:00 and 7:00pm. 3 batches in morning and one batches in evening for man and women starts on 1st October morning batches are at 5.30, 6.30 and 7.30 Evening batch at 6:00pm. Opening ceremony of Research and case study on Yoga and Cardiac problems(Coordinator Dr Vipin Porwal, Pt Radheshyam Mishra), Certificate distribution to 35 Teachers training course students. Artists from all over the country will gather to experience Yoga and to express their vision of ‘enlightenment’ on canvas through images and colours. School Children from all schools of Ujjain will be given a booklet titled Yoga for Children during the 1st week of October, 2010. On the 24th of October, they will express their ideas through images and colours on the topic of Yoga and Health. 2 batches in morning and one batches in evening for man and women starts on 1st October morning batches are at 06.30 and 7.30 Evening batch at 6:00pm. 2 batches in morning and one batches in evening for man and women starts on 1st January morning batches are at 06.30, and 7.30 Evening batch at 6:00pm. One batch in morning and one batch in evening for man and women starts on 15th January morning batch at 8.30 Evening batch at 7:00 pm. 3 batches in morning and one batche in evening for man and women starts on 15th Fabruary morning batches are at 06.00, 7.00 and 8.00 Evening batch at 6:00pm. 2 batches in morning and one batch in evening for man and women start’s on 1st April morning batches are at 05.30, and 6.30 Evening batch at 6:00pm. One batch in morning and one batch in evening for man and women start’s on 1st April morning batch at 06.30 TO 07.30 & 07.30 and Evening batch at 7:00pm. 1. Physiological Benifits of Yoga by Dr. Anita Choudhari, Professer & Head, Dept of Phisiology and SAIMS Medical College, Indore. 32 Yoga Teachers awarded diploma of YTTC. A family picnic party of all Diploma holders of UYLS organised on this occassion at Chitragupta Dham, Ujjain. This event is organised in coloboration with Sant H R Naturopathy Centre, Bhopal and CCRYN, New Delhi. About 300 people from Ujjain and nearby places were benefited with this camp. Opening Ceremony, 12 Lectures, 6 Practical workshops and 24 Reserch paper presentation in 8 Technical Sessions, Cultural Events, Valedictory Ceremony, Tours etc were the main features of the event. About 550 participants from India and 40 participants from abroad have attended this event. The camp organized for rural resident’s aprox. 100 persons have participated from village Magariya and nearby villages. Family gathering of members of Ujjain YogaLife Society also organized which was followed by lunch. 25-31 December 2011, Jaipur, Rajasthan along with Yogasthali. Morning batches 6.30-9.30am and Evening 6-8pm, Venue – Yoga Bhavan. Ujjain Yogalife Society organised one day free health checkup camp for rural people on 22 Jan 2012 about 1000 people from 6 villages were checked by 10 super specialist doctors. 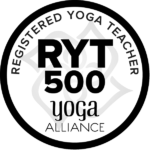 24 Yogalife Teachers have volunteered to make this event a success. The camp organized for rural resident’s aprox. 500 people participated from village Ramvasa and nearby villages. Family gathering of members of Ujjain YogaLife Society also organized which was followed by lunch. a residential family camp in Kullu Valley-Himachal Pradesh, India. 26 families from Ujjain have experience this 5 days camp organised by Youth Hostels Association India & Ujjain Yogalife Society during 3-8 June 2012. One and half month visit by Director Pt. Mishra where he conducted numerous yog camps, workshops and TTC in different states of USA. Yoga-Dhyan Sesssion on Gandhi Jayanti. 100 people participated at Yog bhawan, Kothi Road Ujjain. 3rd International Yoga Seminar, with the theme “Yoga for Consciousness and Total Life Management”, 12-14 October, 2012, At Kalidas Academy Ujjain, with presence of great master of Yog from all over the world and 700 participants from every corner of world and India. Yogalife USA branch opens in October 2012. 2 batches in morning and one batch in evening for men and women starts on 1st November morning batches are at 06.30 and 7.30 Evening batch at 6:00pm. morning batch at 8.30, Evening batch at 7:00 pm. 24 Minutes Yoga for 24 Hours of Energy DVD release: 9th December 2012 at Yog Bhawan Ujjain. UYLS Participated in 1st World Parliament on Spirituality-December, 2012 at Hyderabad. to attend 3 Days workshop/conference. Haridwar, Uttaranchal. on 13th March 2013 for 7&8th TTC participants. Yog Workshop for Students: Conducted at Alpine Institute of Engineering, Ujjain. Pt. Mishra’s 2months visit to different stats of USA for spreading yog and its awareness. 1st April 2013 under Ayush, Ministry of Health, Government of India. 1st April- 30th June 2013, with 2 batches in a day, 1 in morning from 8-9am and 1in evening from 5-6pm. conducted for 100 participants at Yog Bhawan, kothi road Ujjain. 14th April 2013, on common female problems and its solutions through Yog. 75 females participated in the talk. 21st April 2013, at yog bhawan, 100 participants took part in it. (MD, Physiology) 28th April 2013, on Yoga for Obesity.With 150 people participation. Indore, at Yog Bhawan, Kothi Road, Ujjain on 5th May 2013. For Concentration, Memory & Mind training, Self Development and Relaxation through Yoga Games 4.00 pm to 5.00 pm. A 14 day yog awareness camp organized by UYLS with participation of 650 people in Indore with 5 batches a day. to Participate in World Yoga Day, Portugal and to conduct many more Yog Camps in 7 countries of Europe, from 17th June-13th July 2013. 14th July 2013 at Yog Bhawan 2013, 125 people participation. 2 batches a day at Nariman Point Housing Society, Indore with 150 participants. Inauguration opening of 12 Yog Centers under the banner of UYLS at Indore on 1st September 2013. One of its kind project of grand opening of 12 centers at a time in a single city, thus marking a history. Yoga Teachers Training Programme starts for 200 hours TTC Programme, Venue-Yoga Bhavan, Kothi Road, Ujjain, with 17 participants. SBI Mutual Funds Mumbai, 2 day Yog Workshop on 6&7th Septemberwith 30 participants. 22nd September 2013 with 125 participants at Yog Bhawan, Kothi Road, Ujjain. Convocation Ceremony of 10th TTC at Yog Bhawan Ujjain. He conducted 2 International Yog Teachers Training Course along with numerous workshops and camps in different states of USA. A differential technique of meditation through art, concentrating on problems and its solutions through Mandala art of transformation. The workshop was attended by 65 participants at Yog Bhawan, Ujjain. Pt. Mishra conducted 1 daylong workshop at world famous Smithsonian Exhibition, as special and only invited guest from India. special Yog Nidra workshop being conducted at Yog Bhawan Ujjain, with Participation of 100 yog sadhaks. 8th December 2013 a special workshop on meditative techniques through Omkaar with attendance of 100 people in Ujjain at Yog Bhawan. 15th December 2013, a differential meditation session conducted at Yog Bhawan for 124 people present in it. Running 6-7 batches 365 days at Ujjain Centre, Yog Bhawan Kothi Road. On the theme Scientific, Social and Spiritual Awakening with Yog, which witnessed pioneers of Yog from all over the globe along with Masters of medical science and different genres marking their presence in seminar along with 650 participants from abroad and India.